THE year on year inflation for March 2019 has dropped by 0.3 percentage points from 7.8 per cent recorded last month to 7.5 per cent. 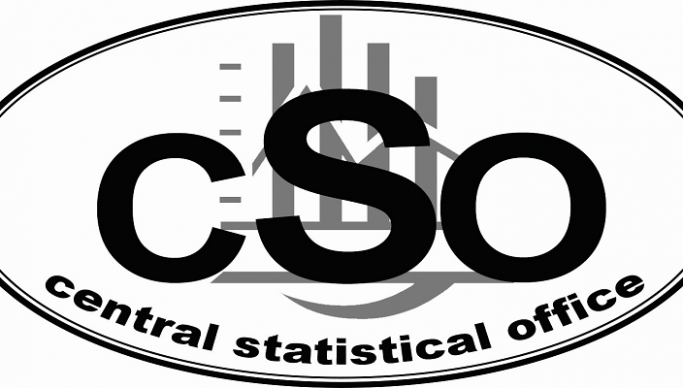 According to Central Statistical Office (CSO) acting director of census and statistics Goodson Sinyenga, the March 2019 inflation figure implies that between March 2018 and March 2019, prices increased by 7.5 per cent. “The rate at which prices have been increasing, as measured by the all-time Consumer Price Index, has reduced from 7.8 per cent reported in the month of February 2019 to 7.5 per cent in the month of March 2019,” Sinyenga told journalists at his office in Lusaka yesterday. He disclosed that the decrease in the annual rate of inflation was mainly attributed to reductions in fuels and lubricants and solid fuels (charcoal and firewood). Sinyenga also said the March 2019 month on month inflation rate has increased to 1.1 per cent. On the food and non-food component, Sinyenga highlighted that food inflation went up. “The rate at which food prices are rising increased from 7.7 per cent recorded in February 2019 to 8.2 per cent whereas non-food inflation reduced from 7.9 per cent observed in February 2019 to 6.8 per cent in March 2019. So, these are year on year measures of inflation,” he explained. On merchandise trade, Sinyenga noted that Zambia has recorded a trade deficit, coming from a trade surplus that was recorded in January. “I hope we can improve in this area in the future from our data suppliers, which are at ZRA (Zambia Revenue Authority), in this case. So, between January 2019 and February 2019, we recorded a trade deficit of K309 million,” Sinyenga said, further attributing the shift from a trade surplus to a deficit to the decline in the value of Zambia’s exports. And on the Gross Domestic Product (GDP), Sinyenga explained that between fourth quarter 2017 and fourth quarter 2018, the economy grew by 2.5 per cent. “These are quarter on quarter! When you compare the growth of this quarterly GDP, this is real growth by the way, the economy grew by 2.5 per cent. This is a reduction from the growth that was observed in the fourth quarter of 2017 at 3. 3 per cent,” noted Sinyenga.